As Tom Brady leaves Minneapolis empty handed following a disappointing loss to the Philadelphia Eagles in Super Bowl LII (52), he soon could be met with a substantial tax bill from the State of Minnesota to be paid next April 15th. All athletes are subject to the jock tax, but it should be noted that this may not be a simple ‘jock tax’ scenario in which Minnesota can tax Tom Brady for his participation in Sunday’s game. The question that must be addressed is – can Minnesota allocate his entire 2018 salary in to the State or are they only able to tax the income that is sourced to the State? As the analysis below will indicate the difference between the two interpretations of states tax rights could be substantial to not only Tom Brady but all who participated in this year’s Super Bowl. Since those playing in the Super Bowl are contractually obligated to play for their team, Minnesota can allocate not only their bonus for the game but also their entire 2018 salary into the state’s apportionment formula. Including team mandated off-season training, along with preseason and the post season; Tom Brady will have a total of 195 total days of work in 2018. By participating in this year’s Super Bowl, he spent 7 days in Minnesota or 3.59% of his total 195 days. Therefore, the state of Minnesota would be able to allocate 3.59% of his entire income for the year into the State. Considering that Brady only received a $56,000 bonus to play in the Super Bowl his tax to Minnesota would result in a $78,267 balance due or 140% tax rate on that income. As a resident of Massachusetts, Tom Brady would receive a tax credit up to $40,524 (his Massachusetts tax liability) on this income, which would drop his actual tax paid on this allocated income to $37,743 (67.4 % tax rate). An alternative view on how Brady should be taxed on this income would be to review the source of his income for 2018. Under the standard NFL contract [section 6 PAYMENT], players are paid only during the regular season. 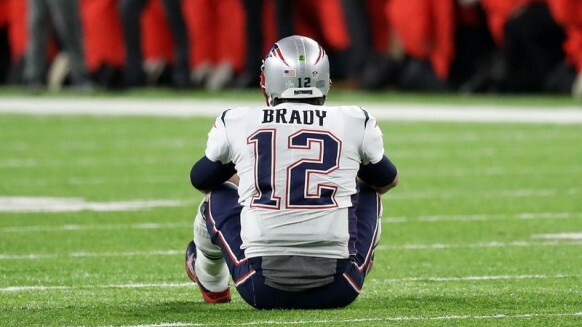 With the Patriots final regular season game having been played on December 31st against the New York Jets, Tom Brady was not legally entitled to receive any compensation other than a bonus for his participation in the Super Bowl. Consider that Minnesota only has the right to tax compensation that Brady earns in Minnesota for playing in the Super Bowl the tax would be only on the bonus and would be considerably less. In addition, Massachusetts (Brady’s home state) will assess an income tax on his total salary and bonus, but it will offer him a tax credit (limited to Minnesota’s own tax on the income) for the non-resident taxes he’s paid to other states, including Minnesota. Thus, Tom Brady would pay income taxes that, in total, are considerably more reasonable and reflective of Minnesota’s 9.8% tax rate. The difference between allocating and sourcing Tom Brady’s income is $35,084, which when you factor that Brady’s bonus for participating in the Super Bowl was only $56,000 is substantial. Several news outlets have reported that Minnesota will look to apportion a percentage of income from all the players in the Super Bowl to increase state revenues. Although states do have the right to tax non-residents on income earned within their jurisdictions, I believe that Minnesota will be overstepping its bounds if it assesses a tax on any apportionment of their annual salaries, which were earned in their entirety as of December 31, 2017. In addition, players are not scheduled to receive another payment of their salary until the first regular season game played by their club next fall. If Minnesota taxes anything more than the winning or losing bonuses that the players receive for playing the Super Bowl, I think the state could be opening itself up to a serious challenge. As the above analysis shows, state tax issues for professional athletes can be confusing and potentially costly. With 20 of the 24 states in which professional athletes play implementing their own version of the ‘jock tax’, it is important to have professional guidance from an individual who specializes in understanding all the unique issues that face professional athletes.